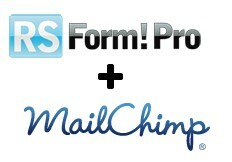 We’ve released today a new RSForm!Pro Plugin addressed to Mailchimp subscribers that allows you to integrate your custom newsletter forms with the email-marketing manager. 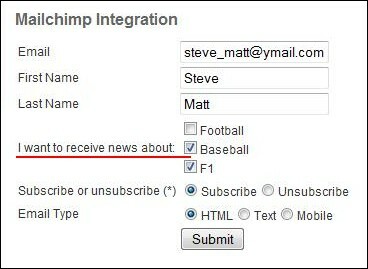 You will be able to create subscription forms, pass users data to your Mailchimp account and assign them to the existing lists and groups. Head to the "Manage forms" tab and create a subscription form similar to the above example.